In this article about Dan Carlson, a scientist bioengineering hornless cattle, Jennifer Kuzma, co-director of the Genetic Engineering and Society Center, is quoted urging caution. 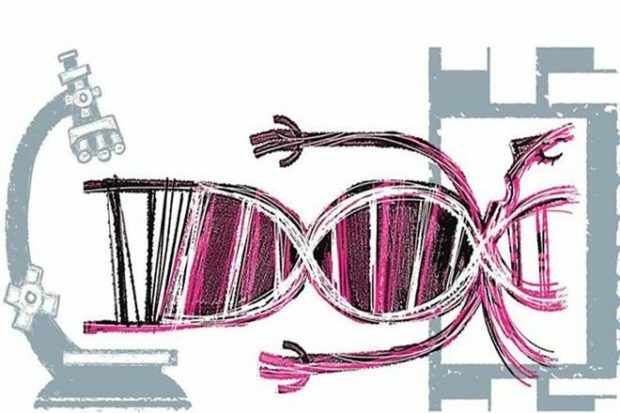 She notes that gene editing tools sometimes slip up by making insertions or deletions in unintended parts of the genome (Carlson’s team looked for these so-called off-target events and found none). Cloning the cells, which is often an essential process in gene editing, can also produce abnormalities, she says. Kuzma also says there needs to be a broader conversation about the underlying ethics of the technology. “With these genetic engineering techniques becoming easier to implement and more powerful too, we’re at a critical point where things could change in the natural world,” she says.